The Tales From the Two Puddings Documentary explores the life and times of the Two Puddings, a pub at the epicentre of East London life for more than four decades. The documentary is a celebration of the heyday of the pub in the 1960s, when it was a magnet for a wide range of customers and famed for its loud live music, its disco upstairs and its occasional fights. 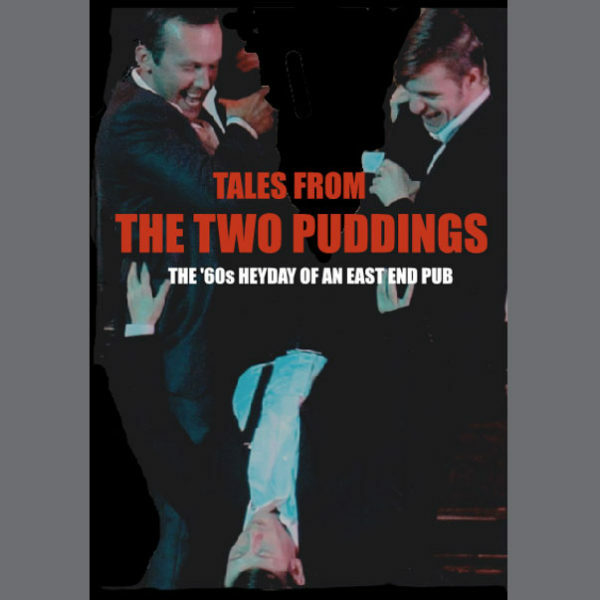 Based on the landlord Eddie Johnson’s recent memoirs, the Tales from the Two Puddings documentary (published by Fifty First State Press) looks at what the pub meant to its customers and how the pub shaped their lives. We tell some of the many stories of the life of the pub through the eyes of those who ran it. And we meet some of the characters who made it special. The documentary is an exploration of the half-buried world of an iconic East London pub. This was Stratford before it was taken over by the Olympics – a world of rough, boozy nights, larger-than-life characters and a rapidly-changing social landscape. DVD Extras include an interview with Andy Dog, talking about his beginnings as an artist and featuring his artwork.